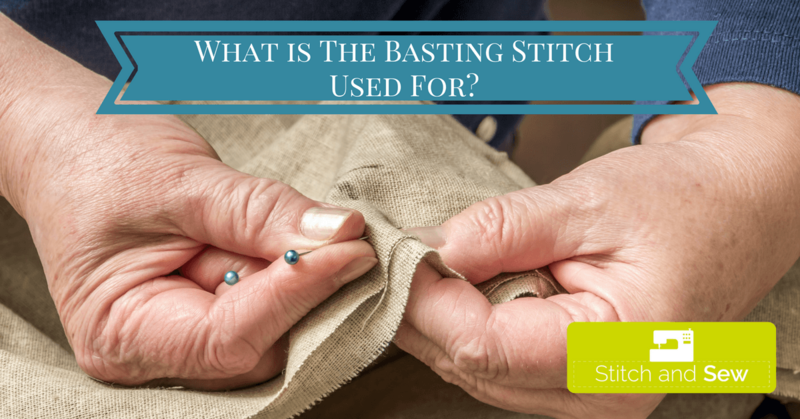 >> What is The Basting Stitch Used For? 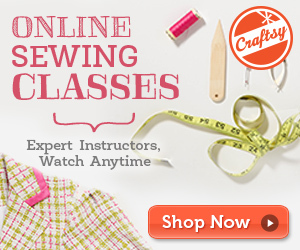 Most people are familiar with the term basting in cooking, but may not understand what is basting in sewing. Anyone who sews has heard the term "basting," but may not be familiar with the process. Experienced seamstresses understand the importance of using basting as a temporary method of holding fabric together before making the final stitches to complete the project. Hand basting is simply using a running stitch, which many consider easier than using a sewing machine. Both using a sewing machine and basting by hand incorporate the time-tested technique for temporarily holding pieces of fabric together for a variety of sewing tasks. Hand basting is used to hold trim or a seam in place before sewing it permanently. The process of basting is sometimes known as tacking. Tacking stitches are often used to hold a pleat together such as a kick pleat on a woman's skirt. These tacking stitches are intended to be removed before the garment is worn. This basting stitch is made by pulling a needle up through the fabric layers until the knotted end stops the thread. These stitches continue until the end of the fabric is reached. The thread should then be cut and secured with a simple knot. These stitches should be loose and easily removed before finalizing the project. It is helpful to use a different thread color for basting so that the basting stitches are easily distinguished from the permanent ones. Almost all sewing machines come equipped with a basting stitch. Sewing machine basting is much faster than hand basting. If the machine has an automatic setting for basting, it will switch to the longest length stitch setting which is about 5mm in length. These long stitches are easily sewn and just as easily removed later. The advantage of using the machine for the basting stitches is that it holds the fabric better than pins. After setting the stitch length to the maximum, continue to feed the fabric through the needle slowly. Use a contrasting thread color to make it easier to remove basting stitches. When pillows or draperies need upgrading, it is easy to add trim to give them a new look. The best technique for adding trim to these items is to baste the trim into the seam. Basting ensures that both sides of the fabric are securely held in place for the final sewing. Basting stitches are especially important in quilting. The many layers of batting, backing, and the quilt top itself must be properly lined up before beginning the quilting process. Basting keeps the layers from slipping by sewing the removable stitches all the way across the surface of the quilt. This extra step contributes to the success of the finished quilt. Seamstresses use basting stitches to make fitting easier. The longer removable stitches allow for adjustments of the garment before making the final stitches. The stitches are usually sewn where the final seam will be placed. This step helps with actual measurements. It is helpful to baste a zipper into a garment before sewing in permanently. Many sewing novices wonder why they need to baste. They do not yet understand that it is one of the most useful of all sewing techniques. Many feel that it takes too much time to make temporary stitches that will be removed and replaced by permanent ones. Securing multiple layers of fabric before permanently sewing them prevents having to rip out imperfect seams and start over. This extra step of basting typically ensures a better finished project.